CMYK is also called 4-color Process. 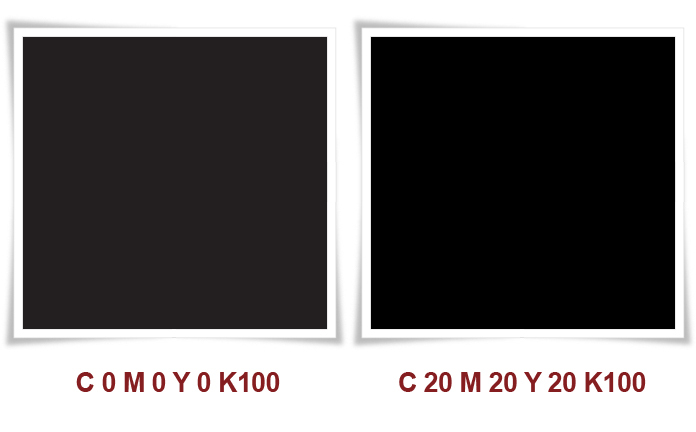 Colors in CMYK images are composed of varying amounts of Cyan, Magenta, Yellow and Black. This is the way a printing press prints color, so it is vital that your image be in this color mode. For 1-color Process it needs to be grayscale. 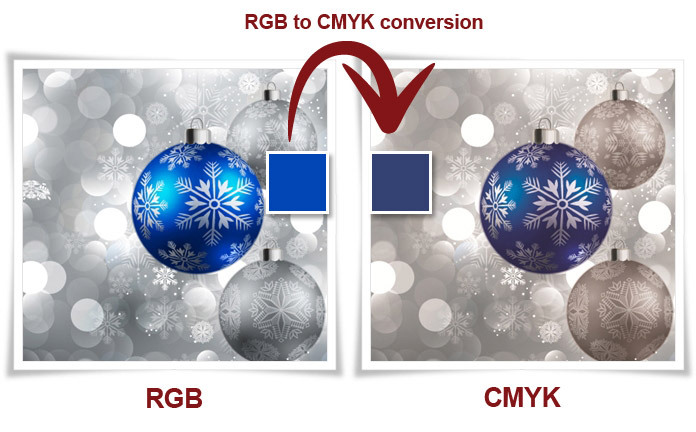 Comparisons between RGB displays and CMYK prints can be difficult, since the color reproduction technologies and properties are so different. A computer monitor mixes shades of red, green, and blue to create color pictures. A CMYK printer instead uses light-absorbing cyan, magenta and yellow inks, whose colors are mixed using dithering, halftoning, or some other optical technique. Similar to monitors, the inks used in printing produce a colour gamut that is “only a subset of the visible spectrum” although both colour modes have their own specific ranges. 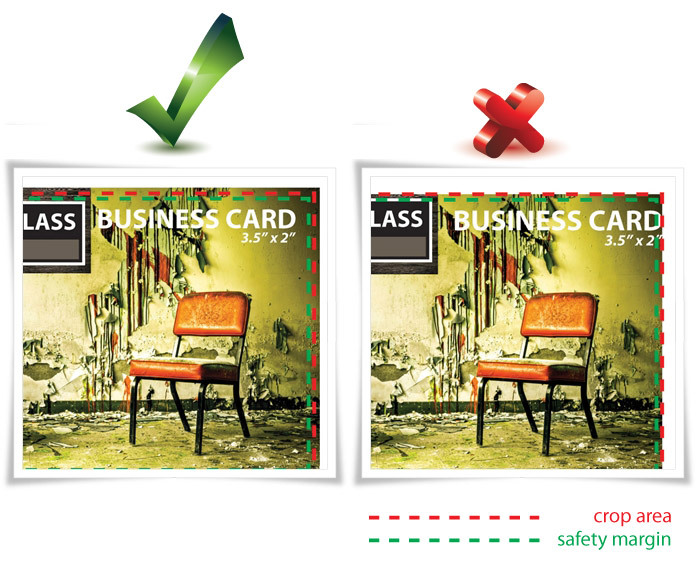 As a result of this items which are displayed on a computer monitor may not completely match the look of items which are printed if opposite colour modes are being combined in both mediums. When designing items to be printed, designers view the colours which they are choosing on an RGB colour mode (their computer screen), and it is often difficult to visualise the way in which the colour will turn out post printing because of this. Bitmap or a raster graphics image, or is a data structure representing a generally rectangular grid of pixels, or points of color, viewable via a monitor, paper, or other display medium. Raster images are based on pixels and thus scale with loss of clarity, while vector-based images can be scaled indefinitely without degrading quality. – GIF: Good for logos and images with limited colors. Supports transparency. – PNG: Good for logos and photos. Supports transparency. Printers cannot print right to the edge of a paper sheet. To create that effect, the printer must use a sheet which is larger than the document size. Then the printer prints beyond the edge of the document size (by 1/8), then cuts the paper down to the document size. It is the designer’s responsibility to set the bleed correctly. For example, when setting up a 5.5 x 4.25 (quarter page) job, you should START your job at 5.625 x 4.375. By extending the image past the cut mark, the cutter blade cuts through Ink, rather than trying to cut exactly on a line, which is next to impossible. As a rule of thumb, try to keep important information at least 1/8 from the cut lines, as this ensures nothing important will be cut. An understanding of the advantages and disadvantages of digital printing versus those of traditional offset lithography is crucial in making the right choice for your printed material. OFFSET: Offset lithography is the most commonly trusted high volume commercial printing technology. 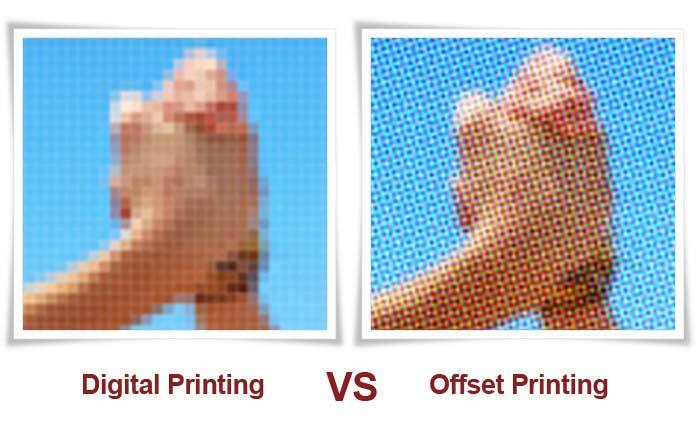 In offset printing, the design image is first burned onto a plate and is then transferred (or offset) from the plate to a rubber sheet, and finally to the printing surface. The lithographic process is based on the repulsion of oil and water. The image to be printed gets ink from ink rollers, while the non printing area attracts a film of water, keeping the non printing areas ink-free. DIGITAL: If you have a desktop printer at home, you’re likely already familiar with the mechanical process of digital printing. Many of the mechanical steps required for offset printing are eliminated (namely, making films and color proofs, manually stripping the pieces together, and making plates), which results in a much more affordable print solution. – Higher image quality, higher resolution and no streaks/spots. – The unit cost goes down as the quantity goes up. – Quality and cost-effectiveness in high volume jobs. – Many modern offset presses use computer-to-plate (as opposed to the older computer-to-film system) further increasing quality.